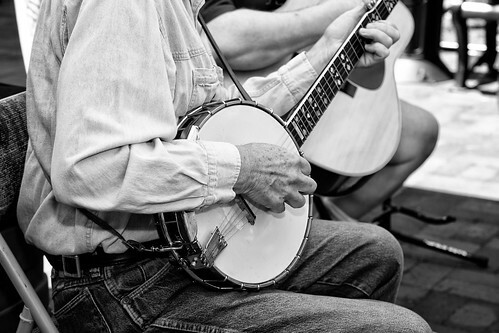 Bluegrass has been known for its virtuosity as much as its conservatism. As much as it can be thrilling with its rapid improvisations, audiences expect musicians to sound like the men who created the genre. Nonetheless, a few people have come along over the last decade who have tried to update the genre, incorporating the ethics of Alternative without abandoning Bluegrass’ sound. For the banjo, this means honoring the Scruggs sound. 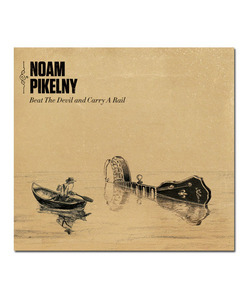 Noam Pikelny would never be mistaken for an acolyte of Earl Scruggs. He did not come to the banjo from Bluegrass, through listening to the classics of Bill Monroe and his collaborators; rather it was the other way around. He learned from players of his native Chicago and listened to the “Newgrass” records of the 1970s, particularly Bela Fleck. Playing the banjo has instead brought him to the edges of Bluegrass, developing an intuitive approach to the instrument that has made him a rising star on the “Progressive Acoustic” scene as part of Chris Thile’s Punch Brothers.